The new Cheap Big Pilot’s Watch Annual Calendar Edition “Antoine De Saint Exupéry” is based closely on last year’s Big Pilot’s Watch Annual Calendar Edition “Le Petit Prince” but with a few changes. 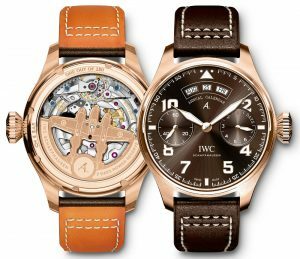 The Big Pilot’s Watch Annual Calendar Edition “Antoine De Saint Exupéry” comes in a hefty 46.2mm 18k red gold case and retains the large conical screw-in crown that has become a signature of IWC’s Big Pilot’s Knockoff watches. 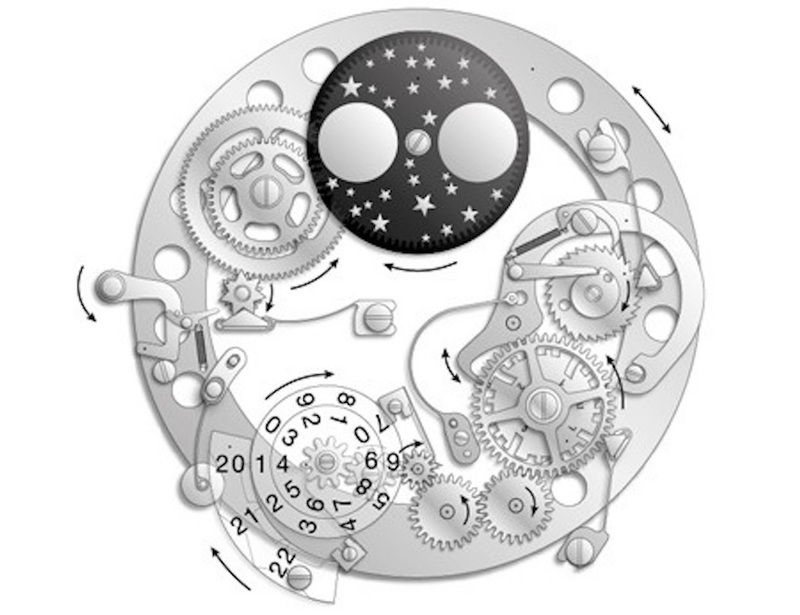 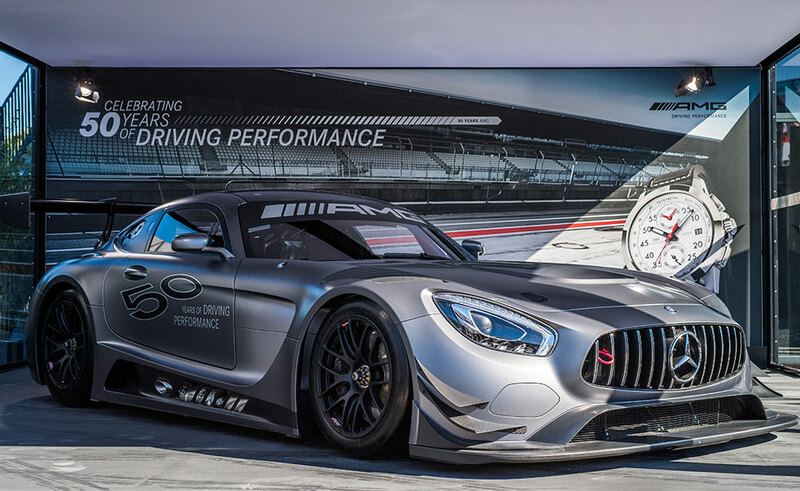 The big change is on the dial. 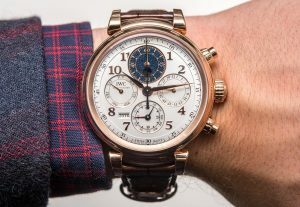 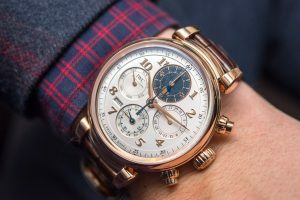 While watches in IWC’s “Le Petit Prince” collection have a deep and rich blue dial, the “Antoine De Saint Exupéry” watches distinguish themselves by having a rich tobacco brown dial, as we saw in the IWC Pilot’s Copy Watches Double Chronograph hands-on here. Judging from the press photos, the dial seems to match the red gold case nicely. 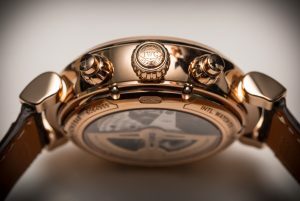 Another notable feature of the dial is the stylized “A” under the annual calendar readouts that represents the author’s name. 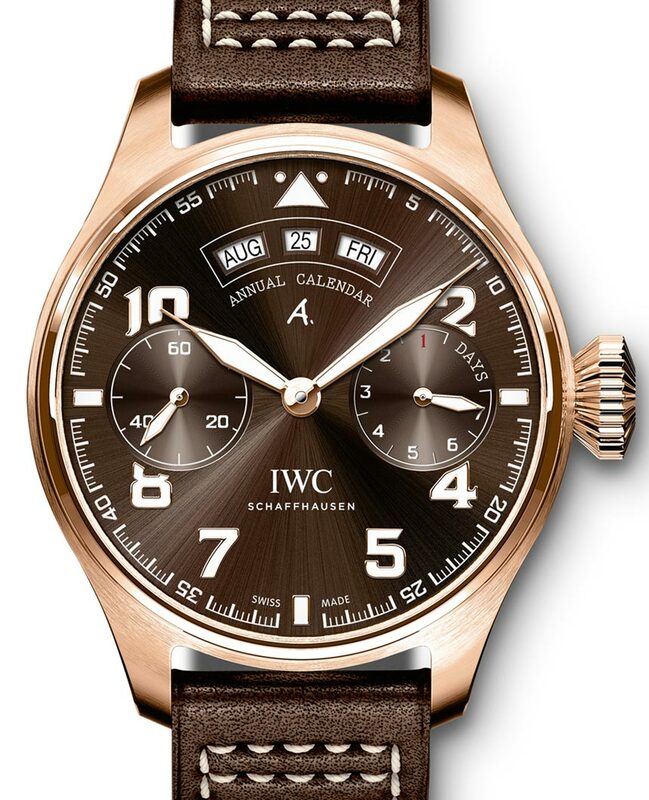 At 12 o’clock, you have three apertures that display the month, date, and day. 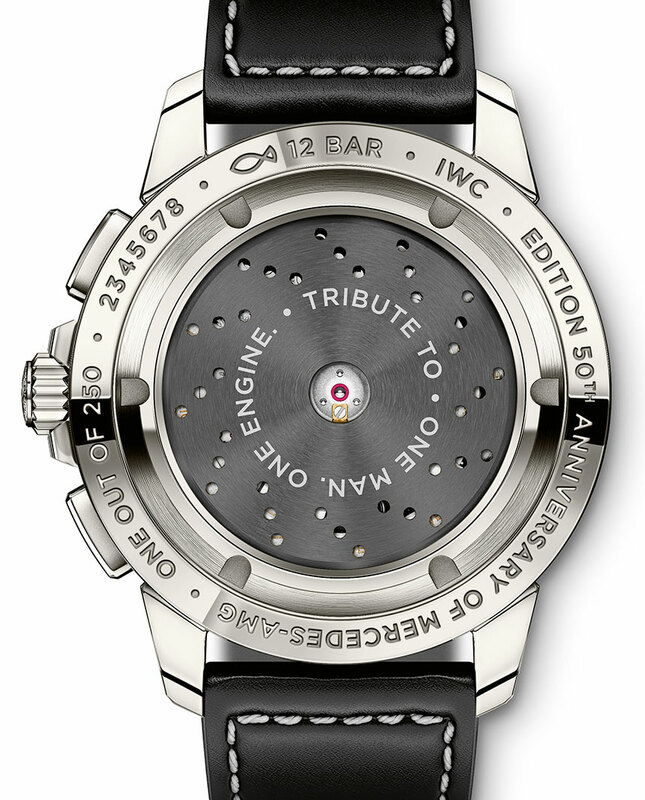 Also, at 3 and 9 o’clock, you have the power reserve indicator and subsidiary seconds respectively. The thick hands and beefy Arabic numeral hour indices feature red gold accents and look to have been generously applied with luminescent material so legibility, whether in the day or night, shouldn’t be an issue. 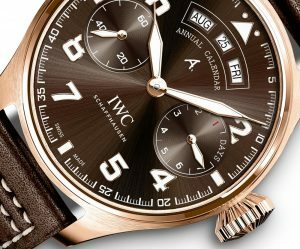 The Big Pilot’s Watch Swiss Made Annual Calendar Edition “Antoine De Saint Exupéry” also comes with a matching brown calfskin strap with white stitching made by leather specialists Santoni. Powering the Big Pilot’s Watch Annual Calendar Edition “Antoine De Saint Exupéry” is the IWC Caliber 52850, which is visible through a sapphire display caseback. 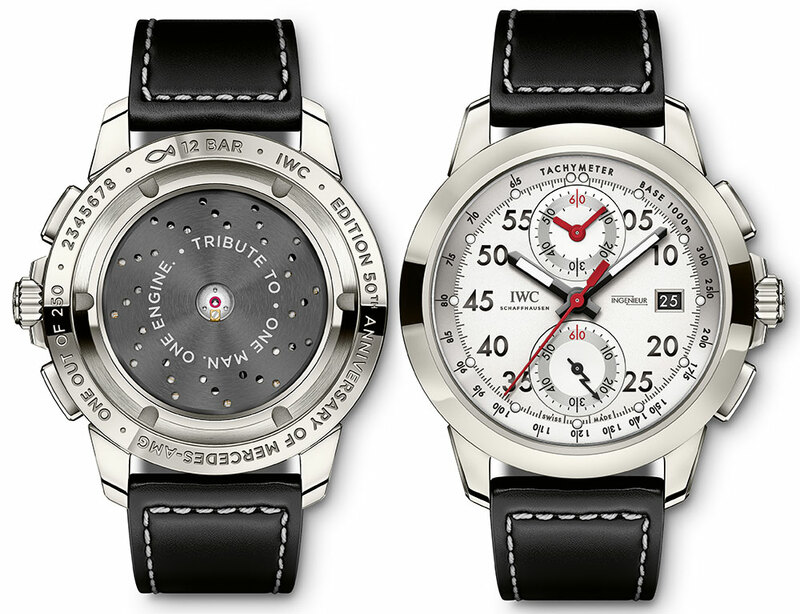 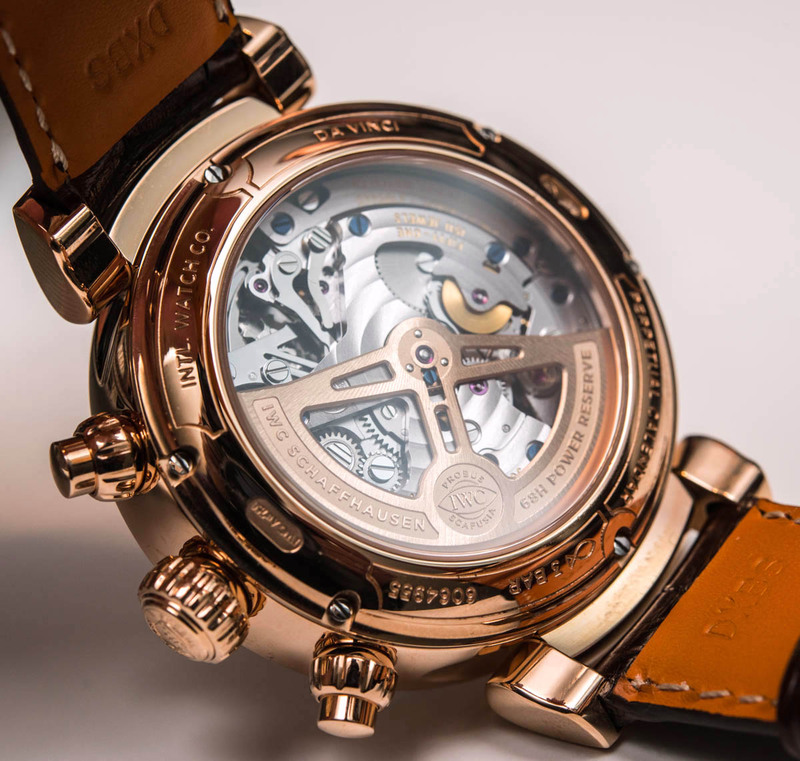 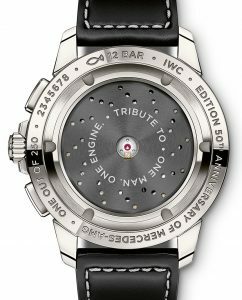 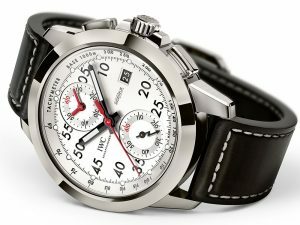 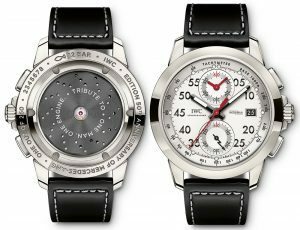 It beats at a standard 4Hz and features a 7-day long power reserve thanks to two mainspring barrels. 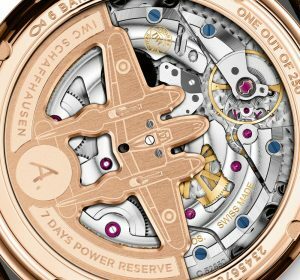 It also features the latest version of IWC’s Pellaton winding system, which has recently been upgraded with ceramic components to provide years of wear-free operation. It has also been handsomely decorated with Côtes de Genève and blued screws. 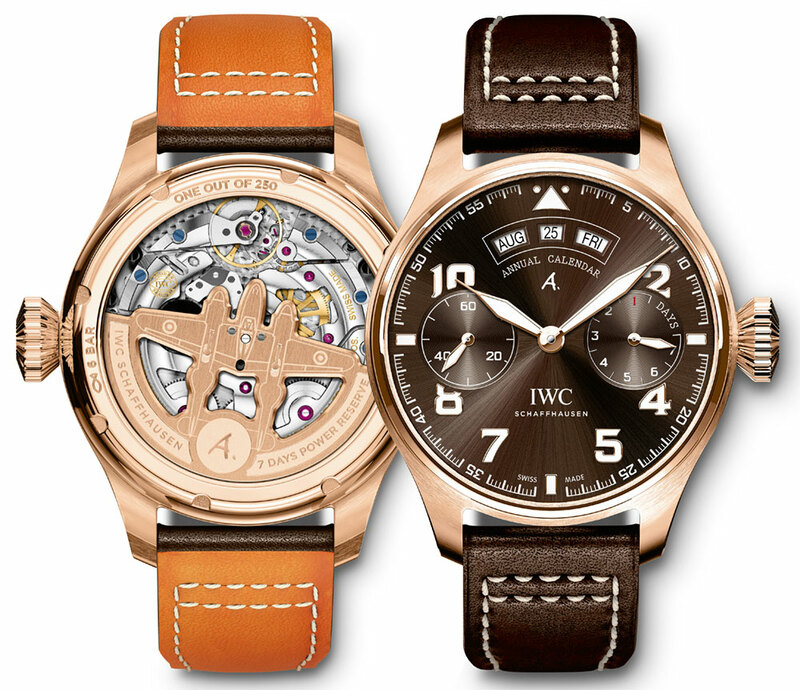 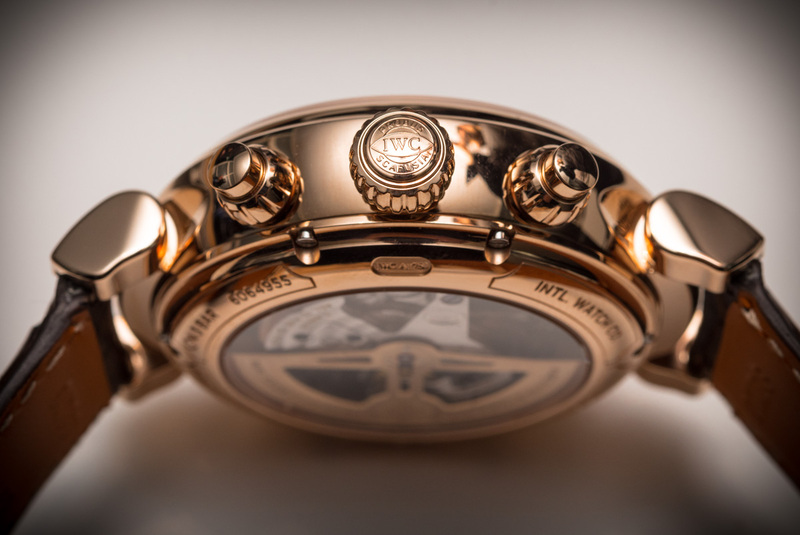 Obviously, the Best IWC Big Pilot’s Watch Annual Calendar Edition “Antoine De Saint Exupéry” will appeal most to fans of The Little Prince and admirers of the author.The tobacco brown dial and the red gold case look like a great match and I especially like the watch’s winding rotor that is shaped like a Lightning P-38 plane.